Order in all of you fashion and don't pay a penny for shipping with this delivery deal. Get new season ready in the trends that are going nowhere.To redeem your discount verify you uni status with this retailer. Student Discount is not valid on sale items. Get a huge discount on a selection of dresses, tops, boots and much more with this wonderful offer. Featuring a fierce collection of discounted tops, you no longer need to break the bank to stand out this season. This retailer has the deal for you to make sure you layer up this winter with knockout discounts on faux suede, fur and leather styles.  Purchase from this sales outlet and save up to 70% on dresses. Take advantage of this wonderful opportunity and pay just £9.99 to get your orders delivered to your doorstep over 12 months. Pick up your purchases from a local store without any charge with this retailer. If you need fashionable clothing in all shapes and sizes, head to MIssguided. Celebrity collaborations, clothing for all shapes and sizes and an exciting wedding shop – yes, you can grab all of these and more at Missguided. Missguided specialises in the hottest trends and styles, and with its celebrity collaborations, Missguided brings fresh looks from the catwalk to the high street. Dropping up to 1,000 new styles every single week, if you want a wardrobe that's hot off the press, then Missguided simply has to be your first port of call! A testament to its monumental online success, Missguided started as a strictly web-based retailer but its popularity has led to opening a physical bricks and mortar store in London. Going from strength to strength, Missguided's message is to empower females globally to be confident in themselves. Thanks to its success, the brand doesn’t seem to be slowing down any time soon. If you're looking for a new bodycon dress to wow the crowds for your birthday night out, a fierce blazer to make a statement on your first day in the office or a contemporary wedding dress that won't break the bank – Missguided is the place for you! We have a Missguided discount code selection that will help you save cash on the hottest styles on the market, so make sure you don't miss out. What else does Missguided offer? Pay £9.99 upfront and receive unlimited next day delivery for a whole year. Standard delivery is £3.99, so you only need to order three times in a year to make your money back! Bag student discount on top of your basket and save 10% off your exciting new purchases.  Downloading the Missguided app will give you 20% off your first order, plus give you the latest high street picks directly from your phone. MyVoucherCodes is where you'll find the best Missguided discount code selection online, so be sure to pick your favourite one before you shop. As if its incredible range of fabulous fashion wasn’t enough, Missguided also has a positively banging selection of accessories and beauty products. Its beauty range includes gems from big-hitting brands like Barry M, Eyelure and Nip + Fab, plus its own 'Babe Power' perfume smells simply incredible, too. The Babezine is Missguided's online magazine that’s chock-a-block with fashion tips and tricks to help set your wardrobe apart. Whether it's finding out what picks from its latest celebrity collaboration is set to fly off the shelves, or which staple items you need in your seasonal wardrobe, The Babezine has all of this and more.